Place all ingredients into a food processor in a couple of batches to allow them to be chopped up finely enough. Add just a little water while blitzing to combine. 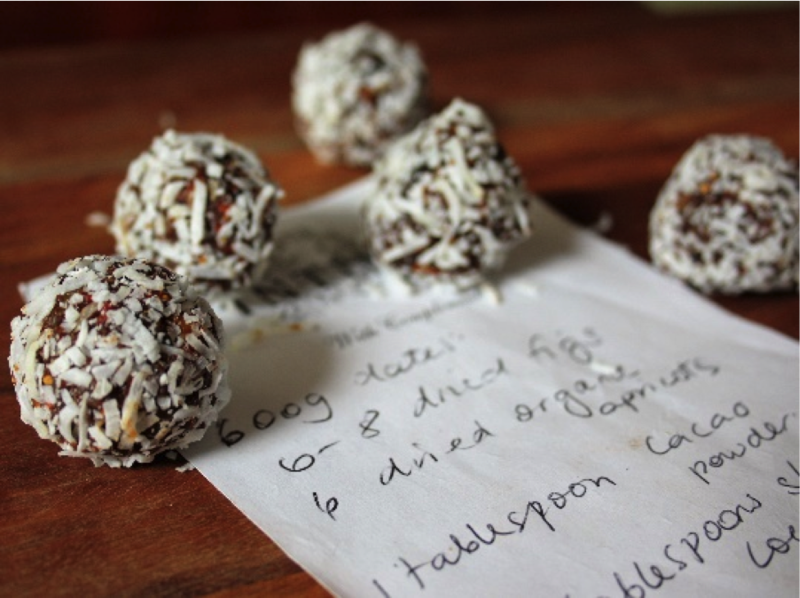 Once all mixture is blitzed, roll into balls and coat in shredded coconut. Store in the fridge in an airtight container, allowing to set for an hour or so before eating. Thank you Erica for sharing this one with us. Yum!